6 x 6 Paper Pads are so versatile. I created a whole YouTube series all about using them up! 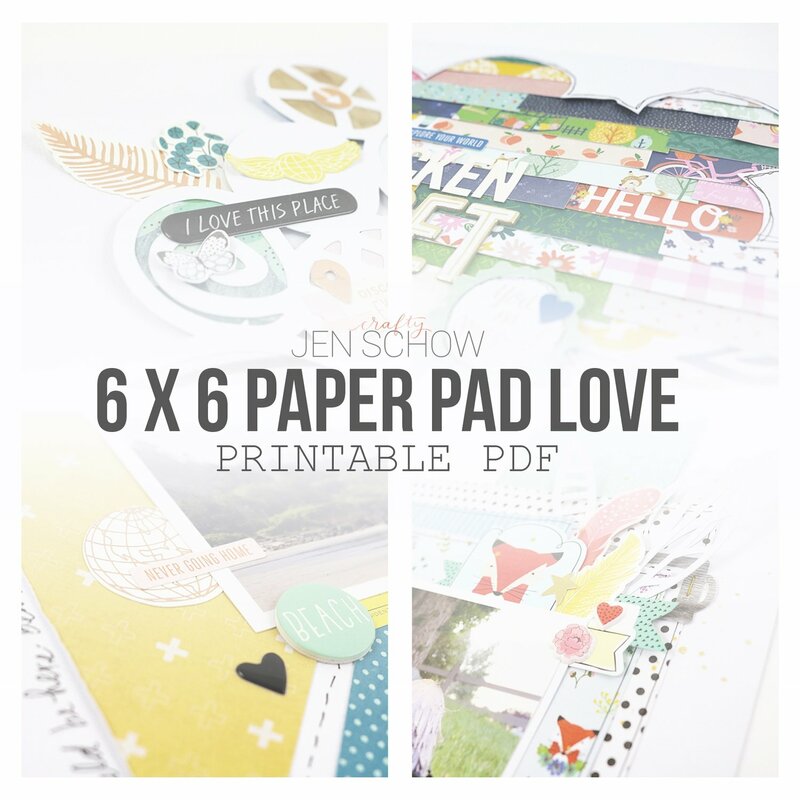 This 14 page full color PDF eBook includes 11 ideas with 19 layout examples and tips and tricks for you to use up your 6 x 6 paper pads. These ideas can easily translate to using up paper scraps as well! It is perfect for printing and taking to crops for easy inspiration, or view on your favorite device! Adobe Reader is required to view and print this class. Upon purchase you will receive a link, via email, to download the eBook. It will include a 14 page printable PDF + a BONUS cut file, Messy Circles, (for use with an electronic cutting machine) in PNG and SVG formats that is used in two of the layout examples. Please remember to save the files to your computer. *If you attended "Jen & Tracie's Crafty Cruise" in the February 2018 with Cruise and Crop, don't purchase this! You were provided this content with my class.